How much is Rande Gerber Worth? 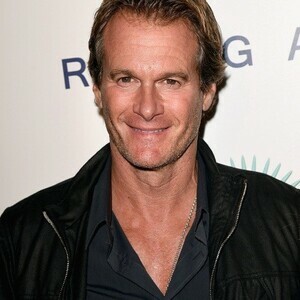 Rande Gerber net worth: Rande Gerber is an American entrepreneur and former model who has a net worth of $300 million dollars. Born in the Five Towns area of Long Island, Rande Gerber graduated from the University of Arizona with a degree in marketing. He worked as a model for a number of years, before shifting his focus to business. He is the owner and operator of a chain of bars and lounges called, Midnight Oil. His two brothers, Scott, and Kenny, also work for the company. In addition to running the popular chain, he is married to supermodel and businesswoman, Cindy Crawford. The pair has been married since 1998, and have two children. Delta Airlines began serving a signature series of cocktails designed by Mr. Gerber in 2007. He has also been featured on two reality programs about Hollywood, and is good friends with George Clooney and Kid Rock, among other Hollywood stars. Casamigos Tequila: Rande Gerber, George Clooney and real estate tycoon Michael Meldman are the founders of Casamigos Tequila. The three originally launched the brand as a private label to give tequila to friends and family. They turned the brand into a public label in 2013. On June 21, 2017, Clooney, Gerber and Meldman agreed to sell Casamigos to alcohol conglomerate Diageo for $1 billion. They will be paid $700 million in cash plus $300 million in bonuses that will be paid out based on future performance goals.